In addition to keywords Trump, Michael Phelps, Prince, and Powerball, New Yorkers are googling nearby vegan food. New York news outlet NY1 recently identified the top search inquiries made in 2016 by city residents. When it comes to keywords, top searches included President-elect Donald Trump, winning lottery numbers for Powerball, late musician Prince, and Olympic swimmers Michael Phelps and Ryan Lochte. When it comes to keywords connected to the search term “nearby,” New Yorkers most often looked for “vegan food” and “juice bars,” indicating a desire to locate and visit those establishments. 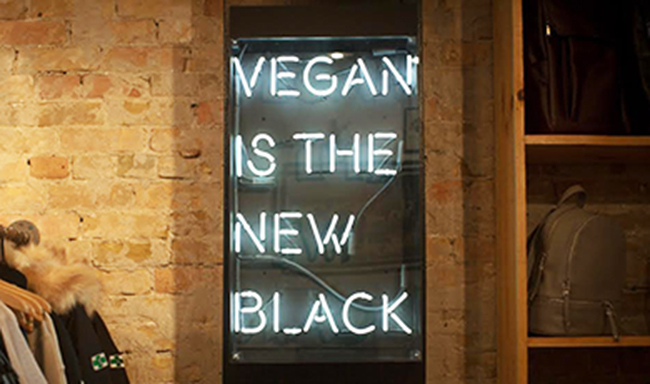 New York has had a big year in terms of vegan restaurant openings, including the Brooklyn expansion of Omaha, NE-based Modern Love, Ravi DeRossi’s veganized eateries Mother of Pearl and Ladybird, vegan pizzaria Screamer’s Pizza, and several new locations of vegan fast casual restaurant by CHLOE—along with its bakery iteration Sweets by CHLOE, which opened in September. 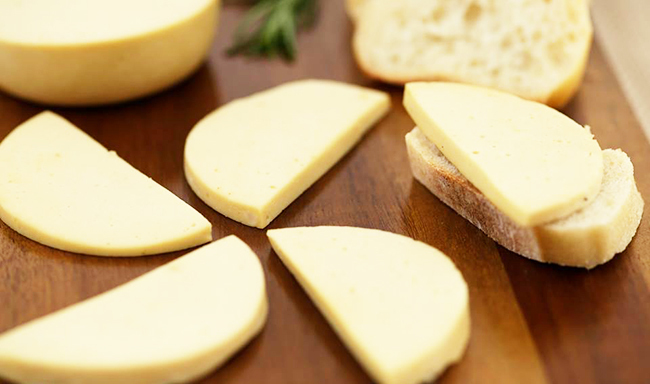 Gusta Foods will become the second plant-based butcher shop to open in the country. The Imperative brings cruelty-free winter coats, designer bags, makeup, and an all-vegan shoe room to the Toronto area. 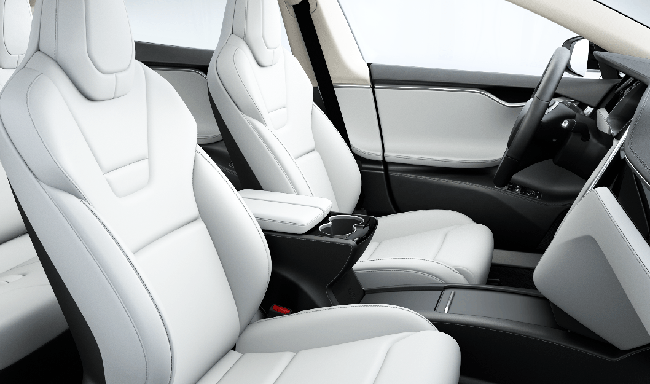 CEO Elon Musk’s preferred cruelty-free interior is now the main option the company offers. 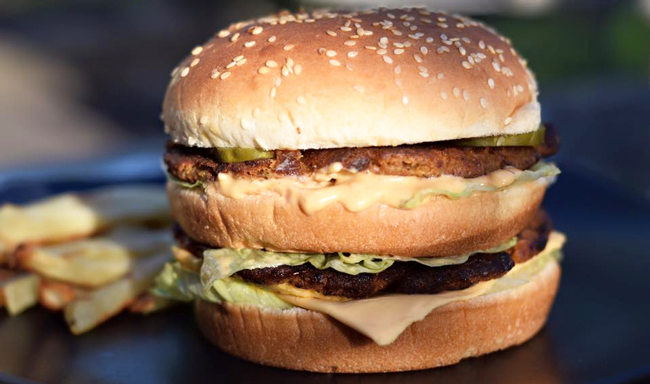 New all-vegan fast food concept to open in Canada in January 2017. 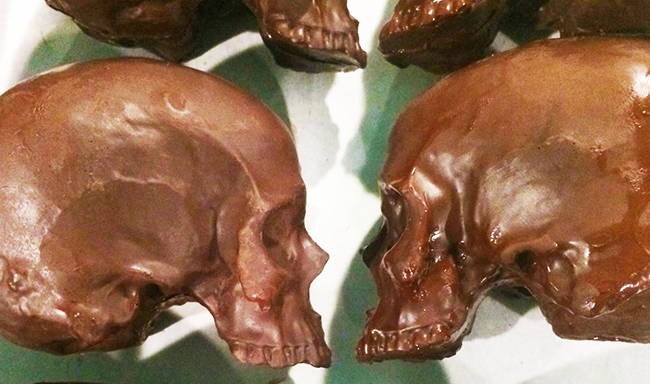 Lagusta’s Luscious used over 1,500 pieces of chocolate to create 300 skulls at the request of long-time customer, vegan, and actress Emily Deschanel.